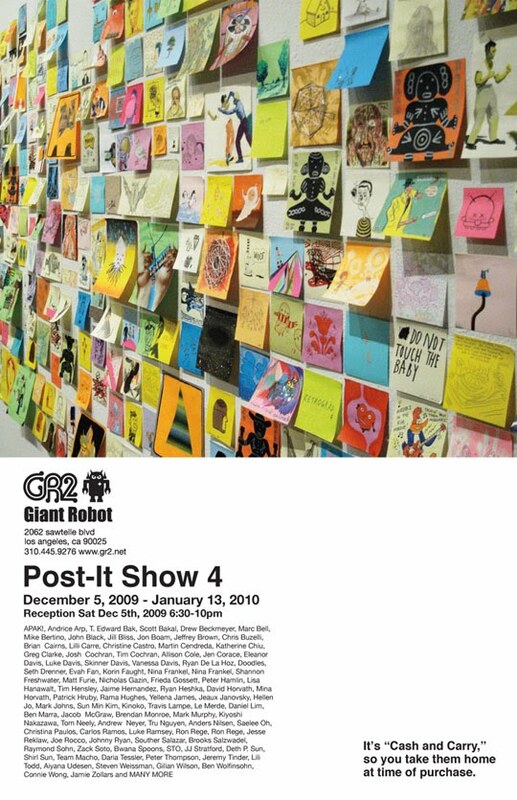 gallery opening this Saturday December 12,2009 in Los Angeles. 9pm screening and after party! ongoing video series curated by Hazel Hill. beautiful Glassel Park neighborhood of Los Angeles. The show is slated to feature nearly 2,000 works by noted contributors for only $20. These pieces will be on standard-sized 3" x 3" Post-It notes. I will have 20 one of a kind 3x3 Prints for sale.